Saturday dawned, (after a sleepless night, I was too excited to sleep!! ).....our big day out and it wasn't actually raining...somebody must be looking out for us! It rained all day back home! 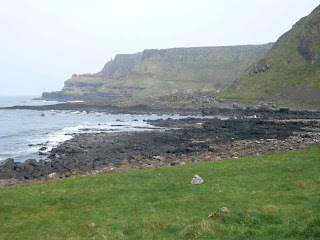 We set off earlyish or the 50 mile drive up the coast of Antrim. The road followed the rocky coast most of the way and the driver told us so many tales about the people and the places. This road built in the mid 1830's is regarded as one of Irelands most scenic drives. According to the BBC it comes 5th in the top 10 views from which to enjoy a glass of Jacob's Creek!! In fifth was the 23-mile route, dug into cliffs and overhanging the sea. Sometimes compared with California's famous Highway One, Big Sur, the Antrim Coast Road was built in the 1830s. The single-carriageway road links the Port of Larne with the nine Glens of Antrim. 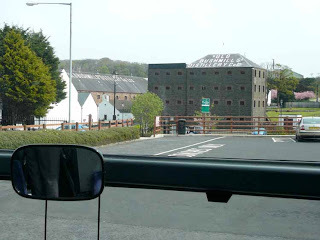 Our first stop was at the Old Bushmills Whiskey Distillery. Built in 1806 we toured the old working distillery. We have Jamieson distillery in Cork but the old distillery there is no longer working, production is in a new distillery. 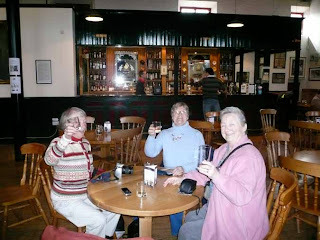 After the tour we got to sample whichever whiskey we preferred. I am not a whiskey drinker but the 12 year old one was good. Fergal tried to dive in, not sure if he wanted to drink or to see if it would clean his lucky coin!! I was told that his name in Irish is spelled Fergeal and means Golden One...no wonder he liked the Whiskey! On to the Giant's Causeway and after a giant of a lunch we walked down to the rocks. the sun came out and we were blessed with a beautiful afternoon. Can you see all the tourists on the causeway in the distance. 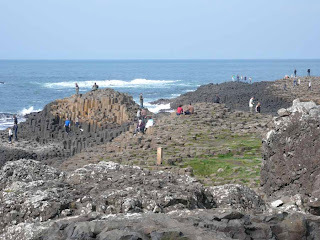 The Giant's Causeway (or Irish: Clochán na bhFómharach) is an area of about 40,000 interlocking basalt columns, the result of an ancient volcanic eruption. The tops of the columns form stepping stones that lead from the cliff foot and disappear under the sea. Most of the columns are hexagonal, although there are also some with four, five, seven and eight sides. 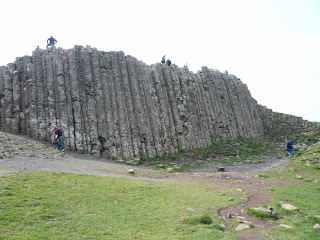 The tallest are about 12 metres (36 ft) high, and the solidified lava in the cliffs is 28 metres thick in places. 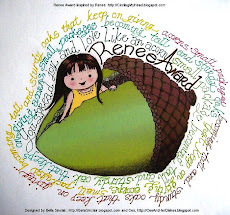 While I was holding on tight to Fergeal to take my photo ( to learn why and to see more of Fergeal's story go here sometime soon!) a voice from behind said..."would you mind doing that again, I have never seen anything quite like it!!" 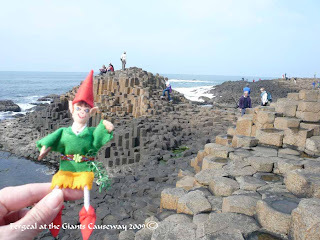 So somebody is going to go home boasting that they saw a Leprechaun at the Giant's Causeway...and have a photo to prove it........aren't some people funny!! 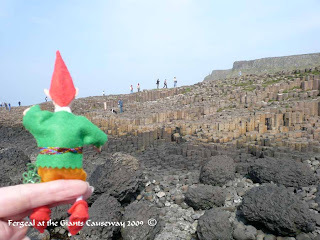 Pop over to Fergeal's blog to read why it is called the Giant's causeway..Fergeal loves Irish Mythology. WE were really tired when we got home, but there was another treat for us. One of the Northern Ireland Lacemakers had brought in her collection of Antique Lace. I couldnt photograph it but it was magnificent. She had Tenneriffe lace, Limerick and almost every lace imaginable, Collars, lappets, shawls, mats...you name it she had collected it. She kept it in acid free tissue wrapped on cylinders to stop it creasing. 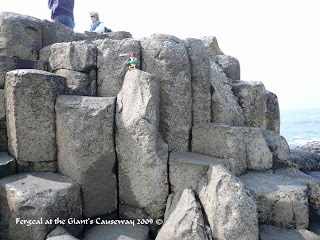 It's so interesting, reading all about the Giant's Causeway - amazing that there is a similar formation at the corresponding point of Scotland. 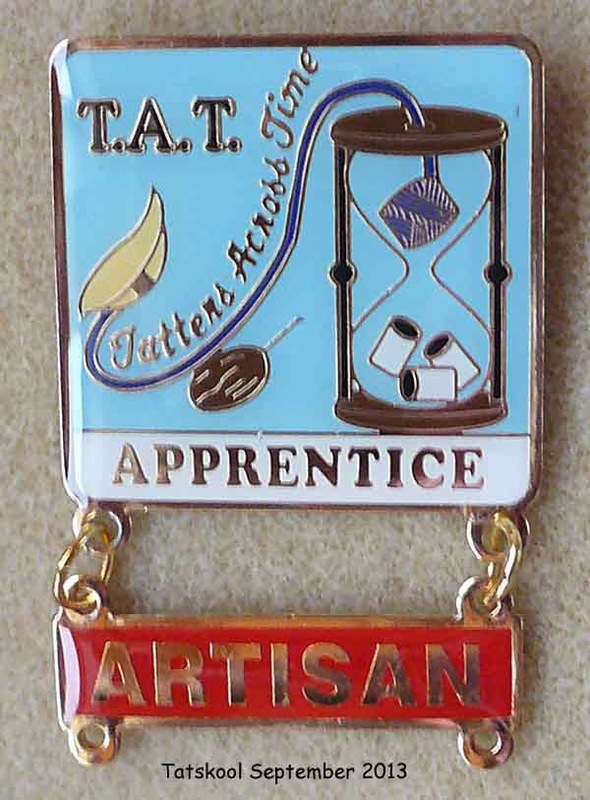 I left a comment on Fergal's part 1 post yesterday, asking about Toastie, but it doesn't seem to have shown up. Wow, that was breath taking! How awesome to have seen all this in person. No wonder Fergal wants to blog about it too. 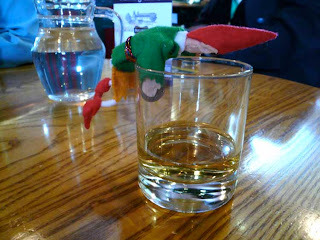 Did Fergal get a little tipsy at the distillery? Thank you for sharing your weekend. It was lovely to take this walk with you. 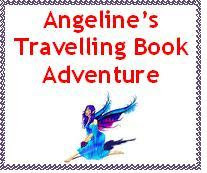 Thank you for giving us the opportunity to go on the 'trip' with you. It certainly was a scenic journey. From the list of the top 10 views mentioned, I have only been to the Grand Canyon, Arizona. It was breathtaking and I feel so small to be part of the huge creation of the Almighty. 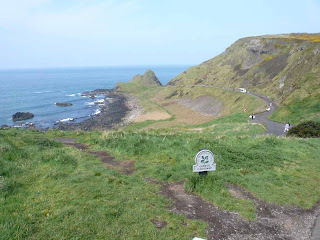 Hi Maureen, the Giants causeway was every bit as good as I hoped Ireland would have been joined to Scotland so I suppose it's not so surprising. 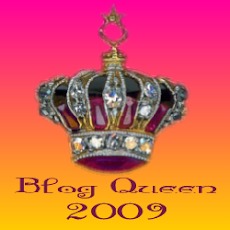 Laura attends to the comments on the lep blog and i don't suppose she has been up to it. Mine seem to go on straight away tho, try again. Toastie is dying to know what you said. Carol, yup it was great actually to see it in person. 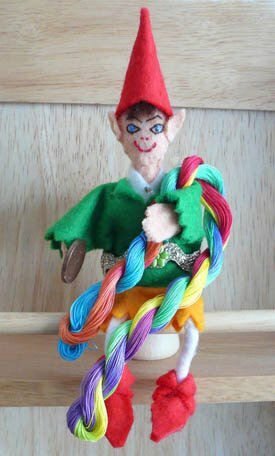 Fergeal was so pleased to see more of his land. and learn about his heritage. No he didn't get tipsy he is very sensible!! Hi Jon, yup the Grand Canyon is awesome. We saw it at Christmas, the snow and the atmosphere in the lodges was just magic. Have been lucky enough to have seen 5 of those sights....didn't drink the wine tho!! 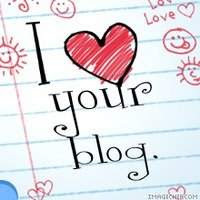 Your Post makes me feel like as though am watching it with you. :-) Looks like you'd had a lovely holiday...Thanks for sharing the experience with us. Apple Blossom Time again, and a trip away. An Easter Egg for you! More Blue Lagoon and a fab award. Teapots will be pouring out!